Jennifer has been practicing commercial litigation for over 25 years, after clerking for the Chief Justice of the Ontario Court (General Division). Jennifer’s practice focuses primarily on assisting Canadian and international franchisors, from a variety of industries including quick service restaurants, retail, pharmacy, automotive, real estate, hospitality, education, manufacturing and technology, with their business critical disputes. She regularly defends claims by individual franchisees, as well as franchisee group and class actions, under Ontario’s Arthur Wishart Act and other Canadian franchise statutes, for rescission, breach of the duty of good faith and fair dealing, misrepresentation and interference with the right to associate, and enforcing terminations. In addition to franchise matters, Jennifer also represents manufacturers and suppliers in their disputes with agents and distributors, defends wrongful dismissal claims (in which she has responded to a number of summary judgment motions) and human rights complaints for employers, and has experience in intellectual property (including trade-mark and copyright infringement, and the protection of trade secrets and confidential information), defamation (including statements made via the Internet) and privacy matters. Jennifer has particular expertise in the area of injunctions and emergency applications, especially regarding the enforcement of restrictive covenants against franchisees, dealers, distributors, licensees or departing senior employees. Jennifer is an active participant in franchise organizations in Canada and the U.S., is the current Chair of the Ontario Bar Association Franchise Law Section, and a frequent speaker and writer. In addition to having written over 35 franchise articles for FP Entrepreneur at: http://business.financialpost.com/author/fpjenniferdolman/, Jennifer regularly posts franchise articles on her LinkedIn account at https://www.linkedin.com/in/jenniferdolman/, and recently completed five years of being the only Canadian on the editorial board of the American Bar Association’s Franchise Law Journal. Jennifer volunteers as a skills instructor and speaker at The Advocates’ Society, sits on the Board of Governors of Havergal College, an independent girls school in Toronto. Jennifer is a member of Women Get on Board Inc., and is interested in pursuing new board opportunities. Aaron Rents, Inc. in its defence of two separate actions by franchisees (one in Ontario/the other in B.C.) who abandoned their franchises. Budget Blinds, Inc. in its successful defence of an application to expunge its trade-marks. Culligan of Canada and Culligan International Company in the defence and settlement of an action by a bottled water distributor who claimed to be a franchisee and a beneficiary under a California settlement agreement. Imperial Oil Limited in the defence and settlement of an action commenced by Canadian Tire Corporation Limited over the application of a most favoured customer clause. M & M Meat Shops Ltd. in its successful defence of an application by Mars Inc. regarding the alleged breach of an agreement dealing with the co-existence of the parties’ trade-marks. Medeco Security Locks Canada in its successful enforcement of the termination of two distribution agreements. Piaggio Group Americas, Inc. in its defence of an action commenced by its former Canadian distributor who claims it was a franchisee within the meaning of the Arthur Wishart Act. Shoppers Drug Mart Inc. in its current defence of a prospective class action brought on behalf of its Associates. "[Jennifer is] the top tier of franchise lawyers; the crème de la crème." "[Jennifer is] a pre-eminent practitioner in the space. She is widely endorsed as a top franchise litigator and draws praise for her quick, analytical responses. "., 2017 edition. "[Jennifer is] once again featured as "one of the best practitioners of franchise law working in Canada today. She has considerable experience defending clients in franchise disputes relating to breach of the duty of good faith and misrepresentation and has knowledge of the gamut of franchise law"., 2016 edition. In 2015, Jennifer was recognized as Mostly Highly Regarded practitioner in the area of Franchise Law. 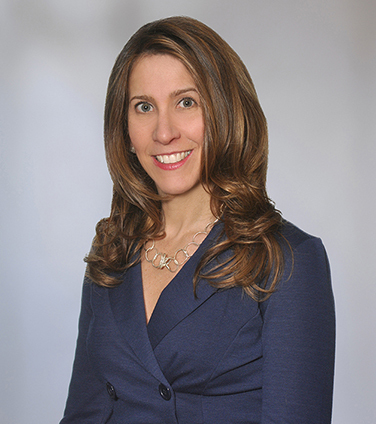 In 2014, Jennifer was 1 of 10 recognized as Mostly Highly Regarded practitioners in the area of Franchise Law. "[Jennifer is] described as very visible in the legal market due to the significant cases” she litigates; peers praise her masterly courtroom performance and describe her as a brilliant tactician. "., 2014 edition. In 2017, Jennifer was 1 of 7 recognized as Mostly Highly Regarded practitioners in the area of Franchise Law. "[Jennifer is] an important member of the bar leading litigator. She wins plaudits for her work enforcing non-competition covenants and defending franchisors in disclosure disputes. "., 2017 edition. "[Jennifer is] a particularly prominent name in the market. She is described as "an incredibly skilled litigator and strategist"., 2016 edition.